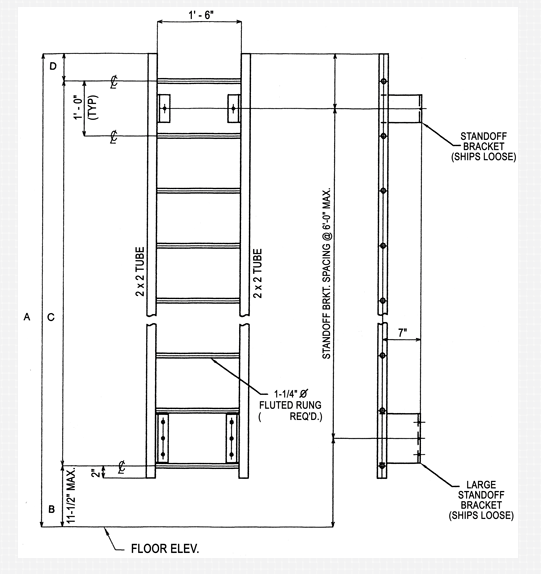 Quote Worksheet: Standard ladder with Wall Mount | GEF, Inc.
Use the diagram to the left (click to open larger) to provide the exact measurments needed for your custom built wall mount ladder. For a firmer quote, you may attach diagrams or pictures. Max size is 2 MB per submission; to share larger files, contact us.